Most laypeople wouldn’t suddenly start trading in shipping containers or complex derivatives. Those activities require a lifetime of experience. But for some reason, regular investors love to jump right into the property market, despite the fact that it’s one of the most volatile markets in the world. Property is a game that everybody wants to be a part of. Unfortunately, it’s also a market that can leave investors short changed, especially if they don’t know what they’re doing. Here are some of the things that the pros know about investing in real estate that the average Joe doesn’t. Many property moguls like investing in duplex accommodation and then live in a part of it themselves. But the tax code is pretty clear on this: you’ll pay capital gains tax if you live in less than 50 percent of the house. Think about that for a second: you might have to pay thousands of dollars in tax, all because of the way you setup your house for living. Homes that you don’t occupy more than 50 percent are considered an asset, and therefore, subject to the same rules as every other. The whole purpose of the 1031 exchange rules is to outline situations in which you’re allowed to swap one asset for another, without having to pay capital gains. Usually, swapping one property for another would be seen as a sale. But if you’re doing it for business or investment purposes, it isn’t, and that could net you significant tax savings. What’s more, the IRS does not place any limit on the number of times you can roll over your gains from one property to the next, even if you make a profit on each swap. The only time you’ll pay tax is when you ultimately sell up. If you’re buying a house that you intend to rent out, it’s worth doing a bit of research ahead of time. 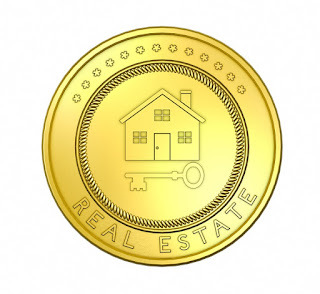 Most investors just assume that the purchase price of the house is related to its rental value. But the buyer and rental housing markets are comprised of very different people, with different tastes and preferences. Whereas somebody might not be willing to buy a condo in the middle of a big city, they might be willing to rent one out - and at a premium. So what do the pros do? The first thing they do is look around for cheap properties. Then, the look at comparable rents and see whether the rental income is high compared to the cost of buying the property. If it is, then they buy. If not, then they move on to the next potential property. The mortgage market has changed a lot over the last decade. No more interest-rate only mortgages. These days, you’ll need a substantial deposit, especially if you’re buying for investment purposes. Expect to pay 20 percent as a minimum.